Click Here to the One Baby's Legacy Sermon! 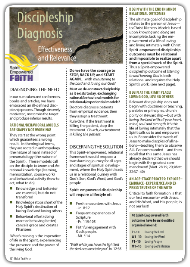 ​Click Here to access the 40 Discipleship Outcomes! These outcomes are integrated into each initiatives sermons. 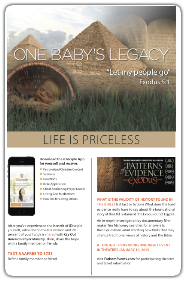 Click Here to download the One Baby's Legacy Bulletin Insert! 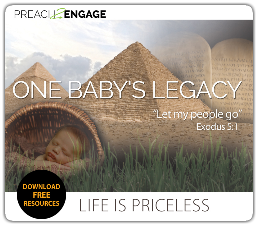 Click Here to download the One Baby's Legacy Web Banner (240x400). Click Here to download the One Baby's Legacy Web Banner (720x300). Click Here to download the One Baby's Legacy Web Banner (728x90). 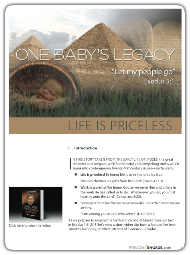 Click Here to download the One Baby's Legacy Poster! 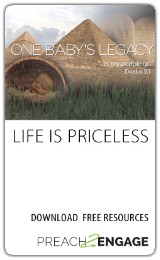 Click Here to download the One Baby's Legacy Web Banner (300x600). Click Here to download the One Baby's Legacy Web Banner (250x250). 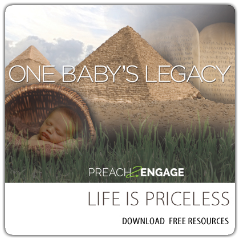 Click Here to download the One Baby's Legacy Email Banner. 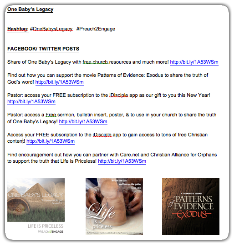 Click Here to download Facebook, Twitter, and Instagram posts for One Baby's Legacy.